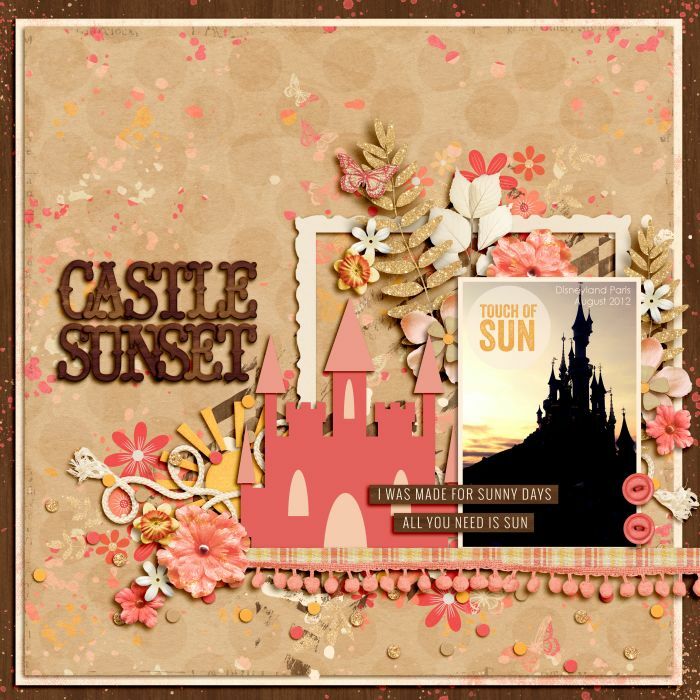 My friend Samantha (previously designing under the name Magical Designs) got out of her designing hibernation and created an awesome new kit for you guys! I’m so glad she’s back, I always loved scrapping with her designs. 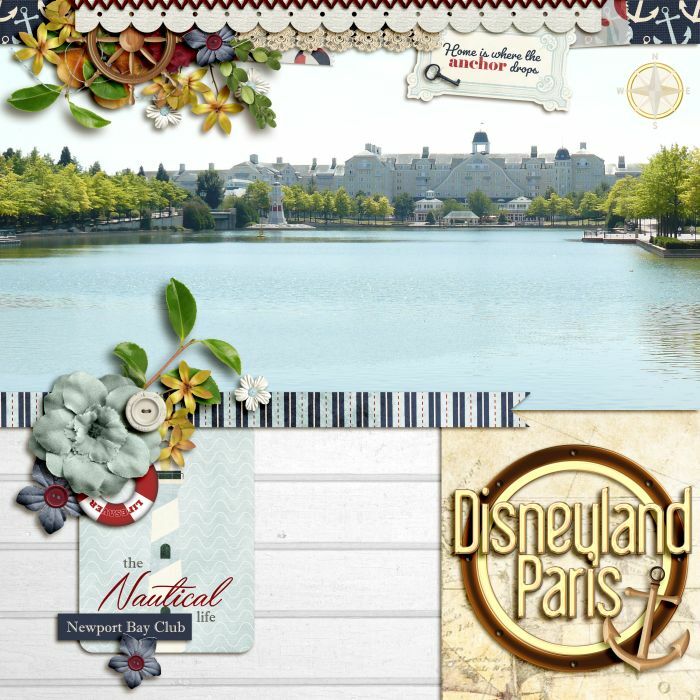 She started up a new store under the name Magical Scrapper and she created the kit ‘Dream Hotels: Nautical’. 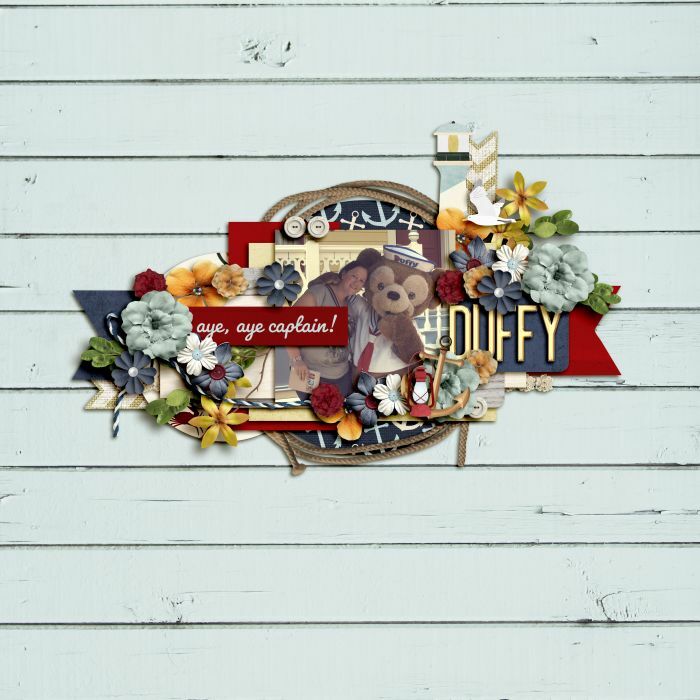 But of course it’s perfect for almost any LO on which you want that nautical theme, like meet & greets with Duffy! So go check it out, new releases are always 20% off till the next release. And let’s hope she has more of these great designs in store for us! 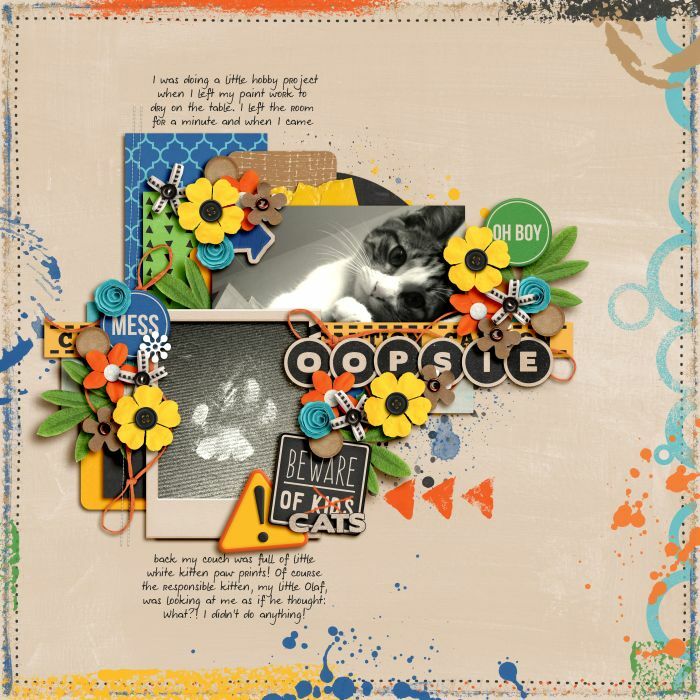 This is my last week as a guest CT member at Kristin’s team already, time sure flies when you’re having fun scrapping with those amazing designs! Fortunately I got to close with not one but two new releases! First up is Kristin’s solo kit, Schooled: First Day. Anxious, scared, excited or sad, no matter what emotion you or your child is feeling about the first day of school, this is the kit with which to save and share that once-a-year-moment. Perfect primary colors are the foundation for Kristin’s beautifully-classic school day kit. Enjoy that first day of school…it will certainly be a special memory for years to come! I don’t have any kids, but I dove into my archives and scanned some of my own schoolpictures from kindergarten. It’s always fun to scrap those old memories from the pre-digiscrapping age! Second, Kristin teamed up with Becca from Tickled Pink Studio. Farewell Summer pays homage to the end of summer holidays and the change of the season. 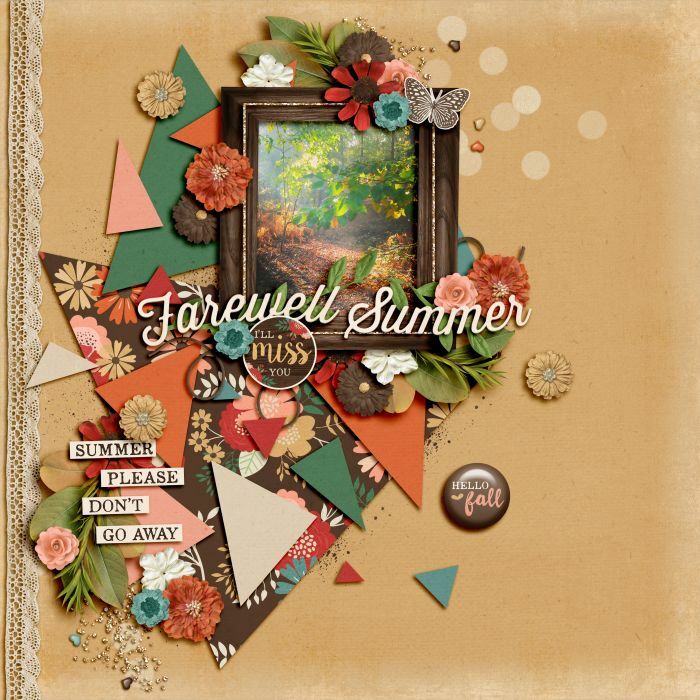 Filled with rich colors, beautiful florals and over 80 elements, Farewell Summer is perfect for capturing your summer memories and welcoming the Fall season. Well I’m certainly not ready to say goodbye to summer yet, but this kit did remind me of the gorgeousness that is fall and the pretty colors that come with it. So much awesome new designs this week, head on over to the shop and pick your favorites! Know someone who lives like a pig?! Can’t get them to clean up after themselves!? Well then scrap about it using Excuse the Mess with Kristin Cronin-Barrow and Amanda Yi. A lovely color palette brings together fun and messy elements and bold papers to help you scrap the disasters you come across! When you purchase the bundle, you will receive the kit, cards, paint pack and extra word snippets! Even if you don’t have any messy kids in the house, this kit is perfect for any mess maker! Like my cats for example! So there’s no shame in being messy, it’s just another reason to scrap some wonderful pages! Enjoy your weekend and happy scrapping! Summer’s best flavors often contain the word “berry”. Who doesn’t love the burst in your mouth when you’ve just picked a ripe blueberry, blackberry or raspberry? Kristin obviously does, because her new kit contains all the richest colors and the deep sweetness of our favorite berries. The beautiful embellishments include pies, jam, juice, flowers, greenery, word art and with two unique alphas to choose from, your pages will be doubly delicious. Get out and enjoy some local flavor, but don’t forget to take pictures of your trip! 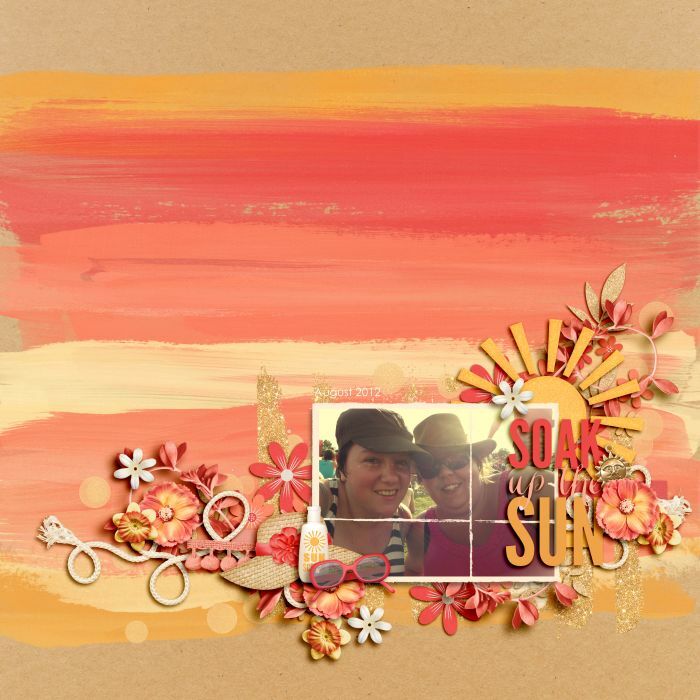 The thing I love about Kristin’s creations is that you can scrap anything with it, no matter the theme! I didn’t have any photos to match this weeks theme, but I found some other photos with matching colors and scrapped a great LO anyway! So there you see, no excuse not to check out this new release! Happy scrapping and see you next week! Kristin has a gorgeous new release for you this week. It’s time to get your fruit on! Strawberries are just as beautiful as they are delicious and Kristin proves that with this brand-new kit! With its perfect pinks and juicy reds, these papers and elements will have you ready to pick these berries and pop them in your mouth! Embellishments include lots of word art, bows, berries, leaves, flowers, hearts, jam, a cupcake, a ladybug and anything else you can think of that makes you think strawberry patch. Four different alphas help you top off your page in beautiful style. Strawberry pie, strawberry jam, strawberry lemonade, or just a plain, fresh strawberry…however you like your fruit, this kit is one you’ve got to grab! As always, Kristin’s kit was a joy to scrap with! Her products are simply amazing, so head on over to her shop! It’s time for another beautiful release in Kristin’s wonderful Great Outdoors series! I just love those kits, and this week we’re visiting the meadows! Kick off your shoes and dance in the sunshine! Kristin’s latest kit explores the beauty of a grassy green meadow. The colors reflect that inspiration: greens that are bright and beautiful, blues the colors of a prairie sky and rich yellows and oranges. 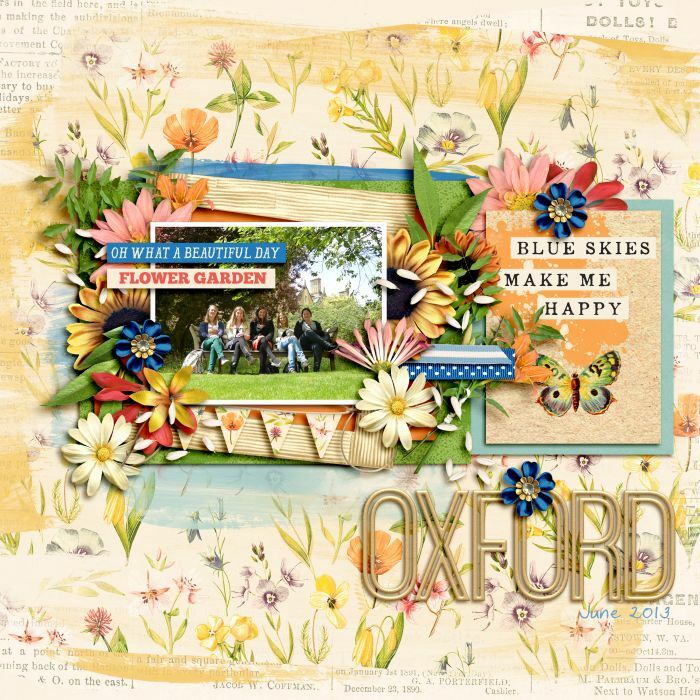 Elements include lots of flower blossoms, flower stems, foliage and greenery, wooden frames, buttons, butterflies, bumblebees, word art and more! Let yourself be young and free again…and scrap those beautiful memories! 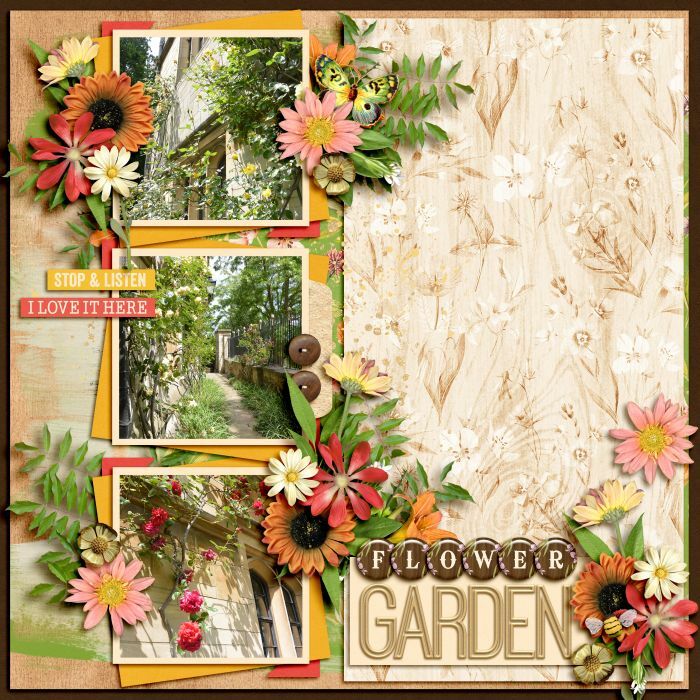 This kit comes with loads of extras: cards, snippets and bonus woodgrain papers. All available both seperate and as a bundle! Kristin has teamed up this week with the uber talented Krystal Hartley to create the perfect summer-lovin’ kit, Sun Kissed. It features a gorgeous and warm color scheme with beautiful pinks, peaches and corals. It’s loaded with beautiful papers and both universal and themed elements for clustering goodness. But the colors are also an amazing fit with those gorgeous sunset photos we all have! So go check it out in the store!